Drain-to-Source Breakdown Voltage: 400V min. Static Drain-to-Source On-State Resistance: 0.300 ohms max. Zero Gate Voltage Drain Current: 25uA max. Continuous Source Current (Body Diode): 14A max. Diode Forward Voltage: 1.7V max. Reverse Recovery Time: 1200nS max. Reverse Recovery Charge: 250nC max. 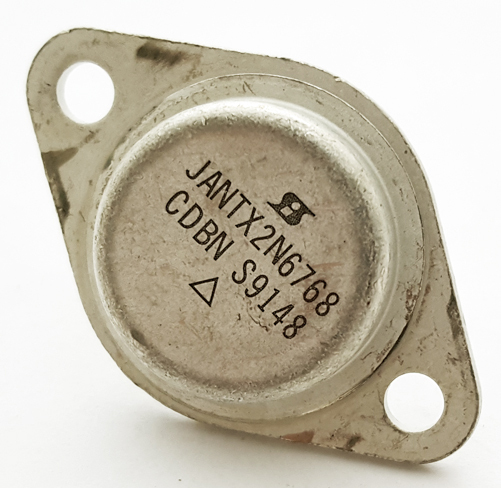 For reference only, we are providing a datasheet for this part number, please note it is from a different manufacturer. West Florida Components assumes no liability for this information.